Santa Maria's first-ever district City Council election was one for the history books, and in a hard-fought, nail-biter of race, two polar opposite candidates both managed to land seats on the council. Despite hopes–and fears–that the city's new district-based voting system would churn out high marks for left-leaning candidates, Santa Maria voters clutched tightly to the status quo on Nov. 6, voting in incumbent Councilmember Etta Waterfield by a vast margin in District 4, and barely pushing rookie candidate Gloria Soto through and into a council seat to represent the city's District 3. 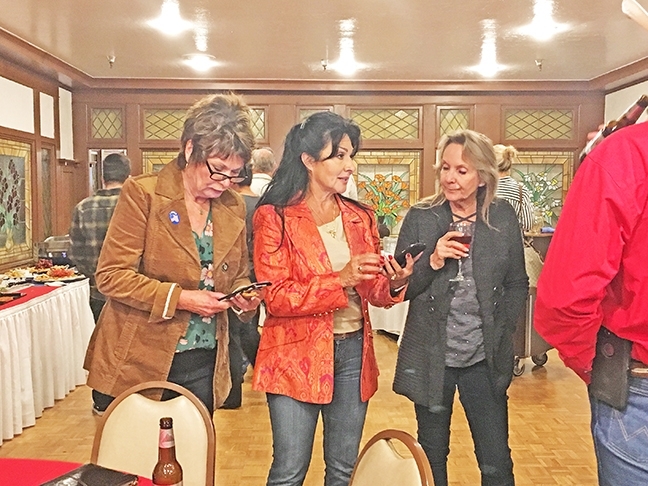 Santa Maria City Council incumbent Etta Waterfield (center) and supporters watch as the first round of general election results flood in online at an election night party at the Santa Maria Inn on Nov. 6. Waterfield beat out candidate Rafael Gutierrez for the city’s District 4 seat. Soto, a lifelong Santa Maria resident and nonprofit development manager, beat out retail service manager Raymond Acosta, who garnered only about 7 percent of the votes, and incumbent Michael Moats, who had a small lead for most of election night. Soto eventually pulled ahead after midnight, and as of the morning of Nov. 7, she had about a 2 percent lead over Moats, according to the semi-official election night results. 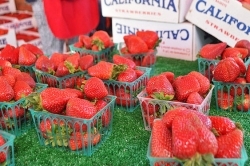 Soto will likely go on to represent District 3, the southwest portion of Santa Maria, and said she hopes to bring affordable housing and living wage jobs to the city, while also advocating for youth and the city's currently underserved residents. "I said yes to a city that I love," Soto said in an emotional speech on election night at the local United Domestic Workers Union office, where she and a few other candidates hosted an energetic election night party. Dozens of supporters cheered as Soto shared her goals for Santa Maria's future, adding that while campaigning, she met an astonishing number of residents who felt apathetic and hopeless about the current political climate, both nationally and locally. She hopes to change that, Soto said, and to represent all Santa Marians' interests through outreach, accessibility, and transparency. "Let's embrace our differences as an opportunity for dialogue," she said at the event. Although Moats lost, he'll still serve another two years on the Santa Maria City Council. Moats, a physician and fiscally focused council member, ran from a "safe seat," he said at his election night party at the Santa Maria Inn, where numerous supporters gathered to watch the general election results unfold. Moats was elected to the council at-large in 2016, but he lives in District 3 and wouldn't have been able to run for re-election in that district until its next election cycle in 2022. The odd situation was caused by the city's new district-based voting system, a change made officially in 2017 that split the city's population into four districts, each represented by a council member living in that district. First time Santa Maria City Council candidate Gloria Soto (right) and a supporter discuss the first wave of polling results at an election party at the local United Domestic Workers Union office on Nov. 6. Although early results showed Soto trailing behind, she later pulled ahead to beat out incumbent Michael Moats for the District 3 seat. The loss means Moats will serve out his current term until 2020, and will have to wait until 2022 to run again for the District 3 seat. Still, Moats said he couldn't predict whether he'd throw his hat in for another term. "It would essentially end my career in politics," Moats said at the event, hours before Soto took the lead. 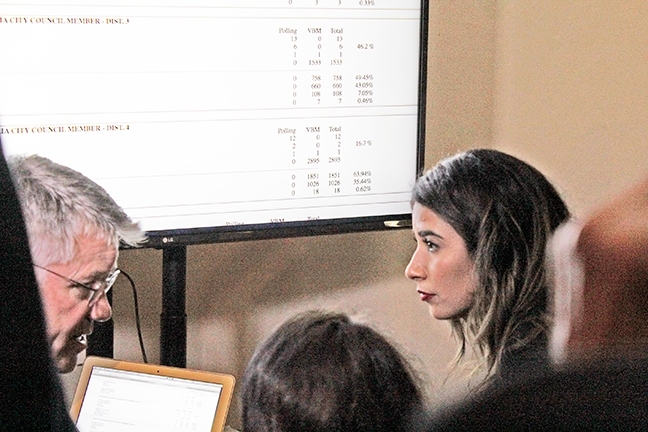 In District 4, which encompases the southeast portion of the city, mayor pro-tem and longtime Councilmember Waterfield took a strong lead over first timer Rafael Gutierrez right out of the gates, taking 63 percent of the first round of counted votes. Although the gap slightly tightened throughout the night, Waterfield held on to about 61 percent of the district's total votes, according to the semi-official results released on Nov. 7. Waterfield–who grew up in a law enforcement family and founded the Santa Maria Police Council, a nonprofit organization that provides additional funds for police safety equipment, materials, and training–has always prioritized the city's public safety needs as a council member. In a previous interview with the Sun, Waterfield said she plans to continue doing so. "You just want to make sure that you've got a safe community," Waterfield said. "Every community has its dark side, not just Santa Maria, but every community, and you've got to clean that up as much as you can." At Waterfield's election night party, which she shared with Moats at the Santa Maria Inn, supporters cheered when they saw the first signs of her taking the lead. Although Gutierrez, an attorney specializing in criminal defense and personal injury, came up short after an involved campaign effort, he said at his election night party on Nov. 6 that win or lose, he'll continue pushing for better solutions to Santa Maria's problems. The energy surrounding his and Soto's campaigns, he said, will only increase. "We deserve better representation," Gutierrez said at the event, which he shared with Soto and other candidates. "This is what we lack in Santa Maria–a responsive government."